There is a lot of discourse around Disney’s Beauty and the Beast. Two elements that get addressed are the Beast’s age relative to his curse, I.E was he eleven when he was cursed or an adult and Belle’s desire for adventure in the great wide somewhere. First lets consider the Beast’s age. Technically both readings are correct according supplemental media. In the 2017 version makes it clear from the word go that he was an adult BUT in the christmas mid-quel he was a kid, who was cursed on Christmas. So both readings are correct in a way. But let’s just consider the 1991 movie and ignore the other movies. The first clue that points to his age at the time of the curse is the narrator saying that the enchanted rose would bloom until his 21st year. And then Lumiere saying that they have been cursed for ten years. Which means he was eleven. It’s kinda hard to ignore that. Unless you don’t like math, like me. However maybe Lumiere was merely saying that for while the servants carried on with business as usual and it’s only been in the last ten years they gave up trying and the narrator’s line indicated that Beast was a beast for 20 years before the rose bloomed. Or maybe this movie has no real concept of time. It’s an enchanted castle after all. There are also a few other elements that sight that the Beast was an adult at the time of the curse or the enchantress was just really mean-sprited. First there is the portrait which him as an adult. It’s hard to argue against that one. But maybe it was an enchanted portrait that aged with the Beast? Though if that was a thing in the curse it would have gotten mentioned in the narrative, I mean the mirror did. The simplest explanation is usually the correct one. It’s was a portrait of the Beast as an adult human, that is not a child’s portrait. Then there is a Chip. How old is Chip? Because if Beast was cursed as child then Chip would have either been born a teacup or spent most of his life not knowing he was ever human. Seems cruel, you go through your whole life thinking you’re a talking teacup only to learn that you were once a human, a creature Chip would have never even seen before. Though Chip being in favor of breaking the curse indicates that he remembers being human. Though that would mean he been a child for about 20 years. Also there is whole aspect of aging within the castle. If Beast was an adult at the time of this curse that means no one was aging, which seems to be the case since Beast recognized everyone when they were cured. I just want to point out Mid-quel ignores this, only the Beast ages no one else. Then again you can just sight enchanted castle and maybe no one in the castle knows what year it is anymore or their ages. Then there is Belle. Her line about wanting adventure gets thrown around but next line gets ignore. So she wants adventure but she needs someone who understand her. Want vs Need is a pretty basic concept. So some people think Belle got the short end of the narrative stick because she didn’t get adventure in the great wide somewhere. Which is the point, it’s what she wanted not what she needed. The bad part of this the 2017 version trying to fit this in with the book of teleportation. I suppose they could have made it more of thing but they just used it to show how Belle’s mother died by illness. Adventure? A minor trip to Paris for backstory is the correction for Belle wanting adventure? What the 2017 version could have done is changed it so that enchantress was sneaky and curing the Beast required a quest but only Belle could figure out what the magical macguffins were to break the curse. 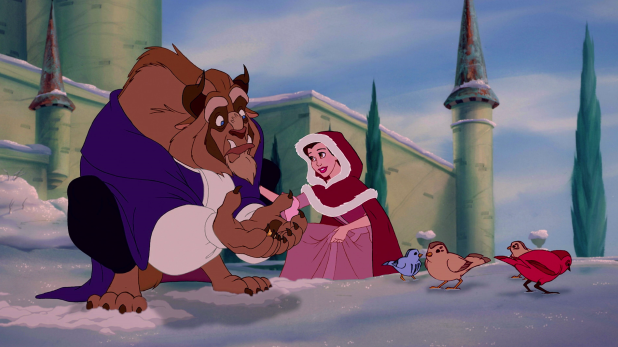 So Beast and Belle would have gone minor adventures to learn and grow and bond and fall in love. And in the end it’s still love that cures him. Then again that would have changed things too much and 2017 version was more concerned with fixing plot holes that didn’t really need fixing. But it made money so doesn’t really matter. In the scheme of things these elements don’t really matter, they do not change the overall enjoyment of the movie. So if you think Beast was child or adult at the time of his curse either reading of the text is fine. 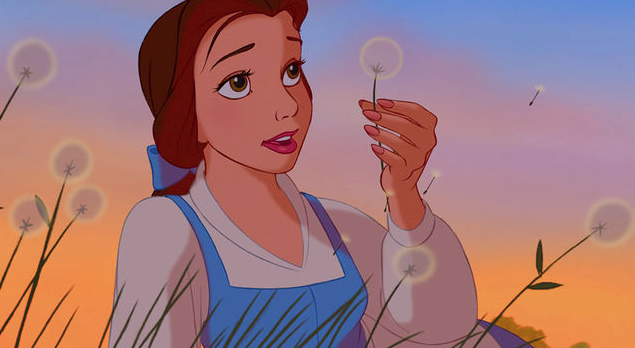 If you wanted Belle to have more adventure, can’t fault you for that either.